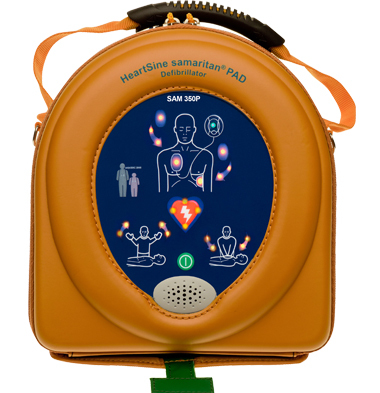 Rather than have a large and expensive (and heavy) battery in a device that may never be used but costs you a lot to replace the battery, HeartSine have come up with the single-event PAD-PAK concept. 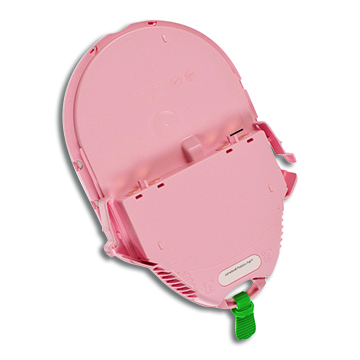 After an event you have to replace the pads on any defibrillator – so it’s no harder to replace a PAD-PAK. And this means less weight, less cost, less confusing overlapping expiring components. 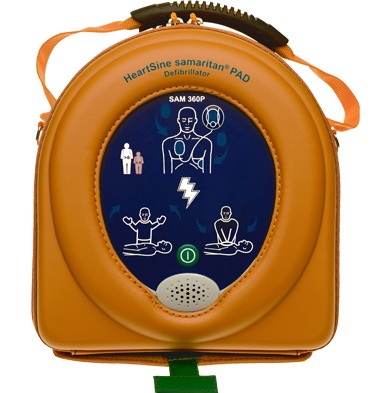 And if you have a genuine event, you may get your replacement PAD-PAK free (subject to some simple terms and conditions). 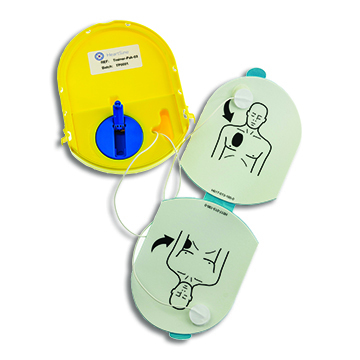 Pads are placed on front and back of victim as per diagram. 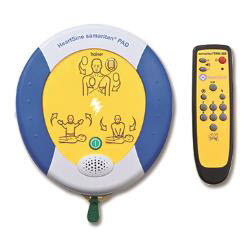 Please note that while the PAD-PAK 04 is inserted, the feedback by blood flow through the heart is intentionally disabled due to the difference in a child’s physique. 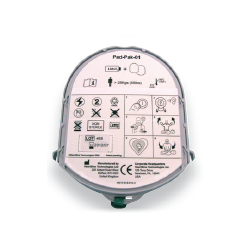 Paediatric PAD-PAK (4 year life or 1 use). 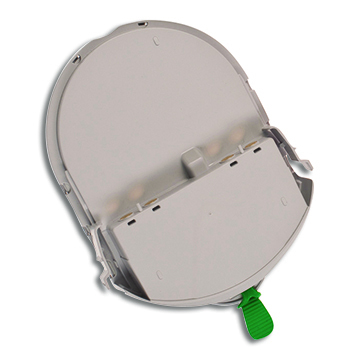 Unique battery and pad in one cartridge. Free replacement after bona fide use (conditions apply). 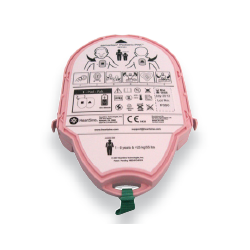 PAD-PAK 04 (Pink) – Paediatric – Under 25kg (Children from 1 – 8 years of age).